Genesis has been building nice steel touring bikes for a while now, offering a few different models across their adventure range. The 2018 Genesis Tour de Fer touring bikes have you sorted for any four-pannier touring, while the Longitude and Vagabond models give you the option to hit the more gnarly off-road bikepacking stuff. 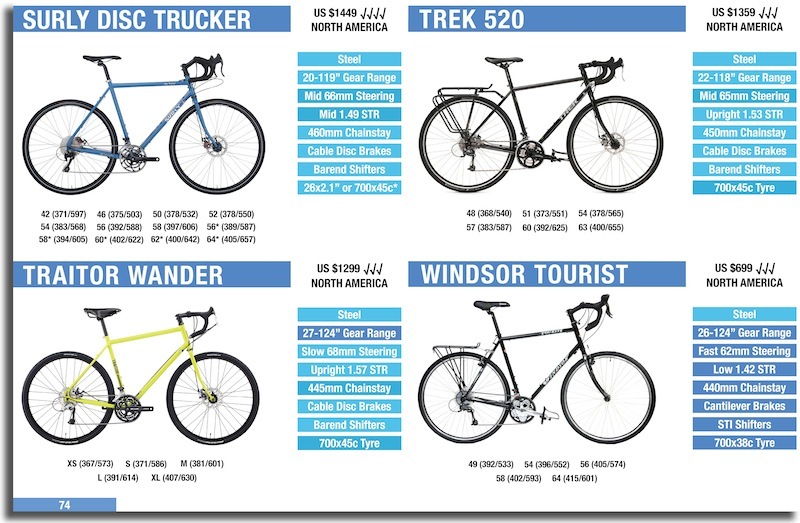 Let’s inspect the Genesis on-road and off-road touring bike ranges. The flagship model is the Tour de Fer 30 which is ready to tour out of the box. 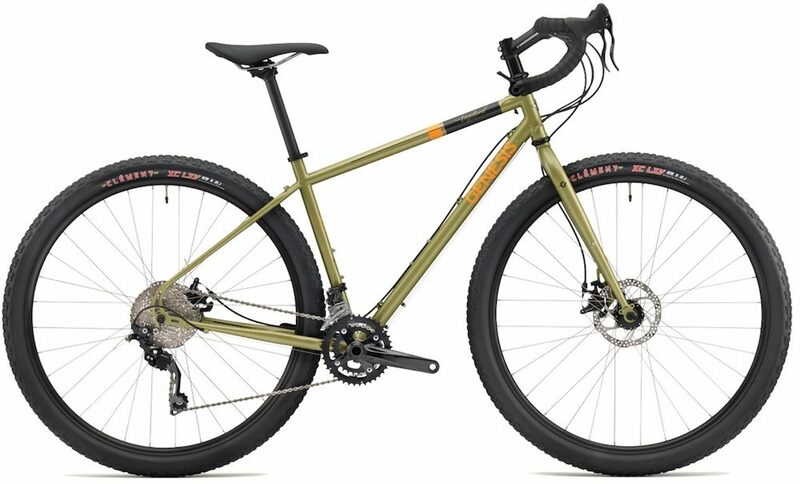 The frame is constructed using heat-treated Reynolds 725 steel tubing which is about as good as it gets for bicycle touring. The bike offers a Shimano Tiagra 30-speed drivetrain with a small gear of 26 gear inches. I find this a little big for hilly tours so I recommend swapping out the crankset for an older road triple that can be modified to fit a 24 or 26t front chainring. Other parts on the bike include the brilliant B&M IQ-X dynamo light, Tubus steel racks, Schwalbe Marathon Mondial tyres and cable disc brakes. It hits the scales at 16.60kg (according to Genesis; seems a bit high to me) and retails for £1799. 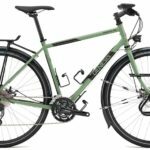 My favourite touring bike offered by Genesis is the very-well equipped Tour de Fer 20 – in fact, I put this bike on my list of the 8 Best Touring Bikes. The reason I like it is that it offers the lowest climbing gear ratio (19 gear inches) of any 2018 Genesis Tour de Fer model, which means you can still be spinning at 60RPM at 5.5km/h. 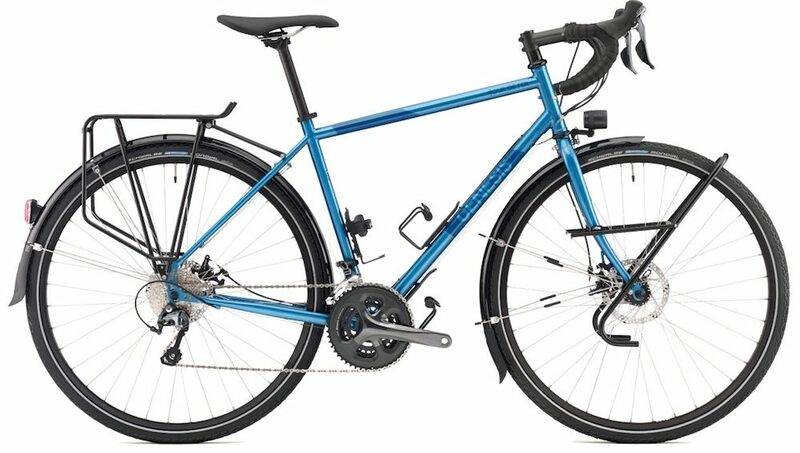 It has the excellent Reynolds 725 steel tubing found in the flagship model and it’s built with a Tubus rack set, dynamo hub/lights, full fenders, Schwalbe Marathon Mondial tyres and cable disc brakes. The 2018 Genesis Tour de Fer 20 is 15.08kg and retails for £1499. 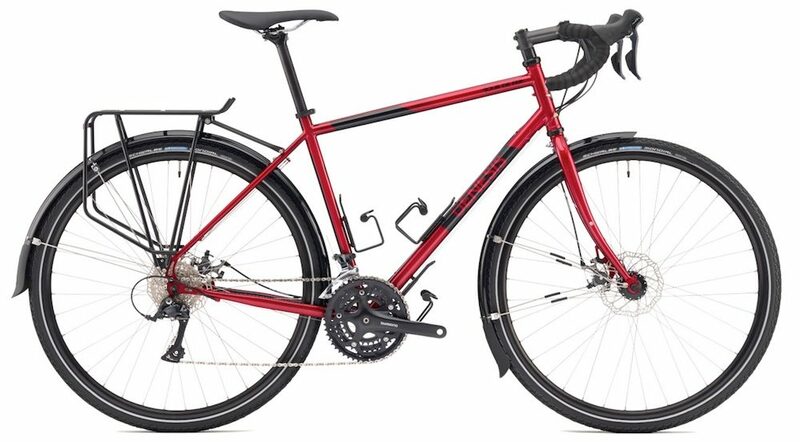 The entry-level Tour de Fer model uses a regular steel frameset which is different to the above models. This adds a little weight but isn’t expected to change the ride quality by much. To reduce the price, Genesis has used a Shimano Sora 27-speed groupset. This drivetrain offers a 26 gear inch climbing gear which will have you riding at 7.3km/h at 60 RPM. This gearing is a little high for hilly tours, so I suggest fitting a Shimano Deore crankset to the bike, should you like the mountains. The Tour de Fer 10 is bit lighter without the dynamo gear and front rack (14.14kg) and it’s available for £1199. The 2018 Genesis Longitude is designed for places where there are no roads. It is rolling on 27×2.8″ plus tyres which offer amazing grip on all surfaces as well as having a kind of inbuilt suspension. The stem is super short and the handlebars wide to provide a big steering leverage to overcome the weight of front bikepacking bags and cargo cages. The climbing gear is around 20 gear inches which results in a climbing speed of 6km/h at 60RPM. 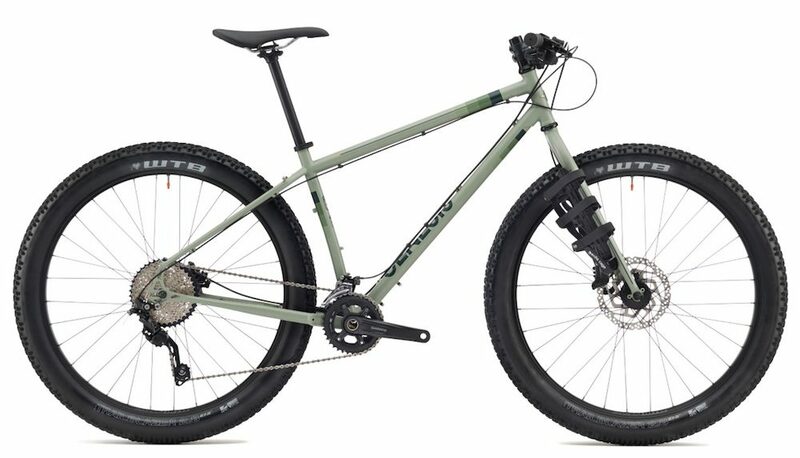 The bike comes with Gorilla cargo cages, Shimano hydro brakes and a Shimano 2018 Deore drivetrain. It hits the scales at 13.74kg and is £1199. The 2018 Genesis Vagabond is the off-road 29er for the brand. It’s also the lightest touring bike in the lineup at 12.36kg. The cool thing about the Vagabond is that it can easily be equipped as a touring bike with fender mounts, rack mounts, barend shifters and some smallish climbing gears. The lowest gear ratio is 22 gear inches which will have you travelling at 6.5km/h @ 60RPM. The bike is finished with 2018 Shimano Deore 10s gearing and the brilliant TRP Spyre cable disc brakes. 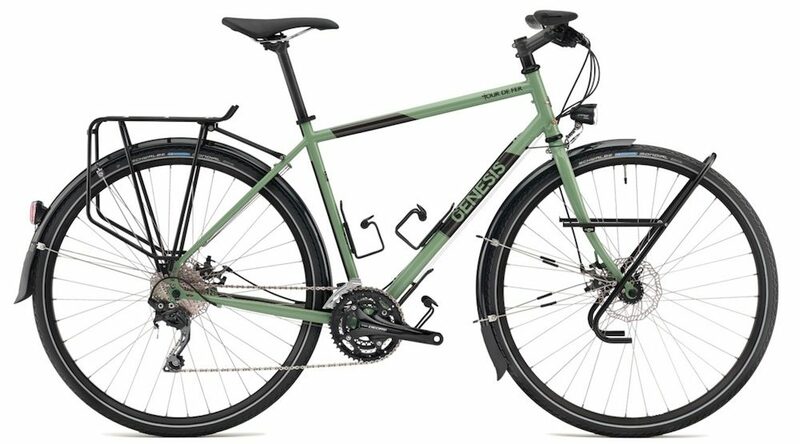 You can get the 2018 Genesis Vagabond for £1099.